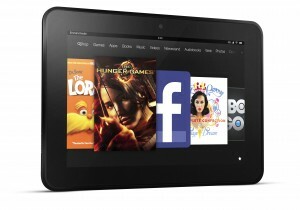 Does shopping for your teen, pre-teen or tech savy adult send you into a nervous sweat? Praying that you actually found the “right” gift that they REALLY wanted. Maybe you flopped last year? We understand your struggle. Finding the right techie gift is tough. Yet, with our assistance this Christmas, you’re going to shop like an all-star. We’ve found gifts like the Xbox One, Fugoo and the Panasonic Lumix DMC-LX7 that will place a perma-grin on the faces of those you care about, and leave them in awe of your gift-giving awesomeness. If you want to be on your way to being the best Christmas gift giver, then you’ll want to choose gifts based upon the recipient’s interests. Don’t think of gift giving as a chore; rather, think of it as a chance to demonstrate how much the recipient means to you. No matter who you’re shopping for. Just stop by either of the TCT Solutions Centers and let us help you pick out the gift that is perfect for your loved one and take advantage of our Santa’s Helper specials! Here’s what is on our wish list this year! If you’re shopping for a tech-savvy loved one this holiday, it’s worth considering a smartwatch. By pairing with the smartphone in your pocket, smartwatches bring a bevy of useful controls right to your wrist. 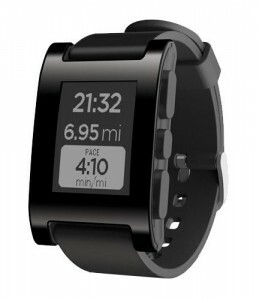 There are many options on the market right now, but for its value and versatility, our Christmas gift is the Pebble Classic. Using wireless headphones once meant enduring ho-hum sound for the sake of portability. That’s no longer the case with the best Bluetooth headphones. Case in point: The Sony MDR-1RBT headphones sound better than most Bluetooth models and cost less than most other top performers. That makes these Sonys one of the best Christmas gifts for Grandpa to listen to the TV as loud as he wants, a commuting spouse or anyone who else on your list who would value good sound sans wires. Point-and-shoot digital cameras have traditionally been the go-to option for capturing images anywhere. Since most people own a smartphone with a decent camera, this function has become somewhat diminished. Today, point-and-shoot cameras must offer something more in order to justify a place in our pockets. Panasonic’s Lumix DMC-LX7 does just that, and at a cost that’s lower than most other advanced point-and-shoots makes it a great holiday gift. 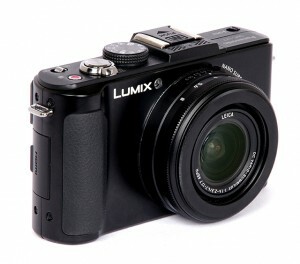 It features outstanding image quality, thanks in large part to its image sensor and compact Leica lens. Although the sensor on the LX7 isn’t exactly enormous, it’s above average for point-and-shoot cameras, and it’s much larger than the sensors found in the majority of smartphone cameras. With a larger sensor, you can capture more detail in your images and produce clearer photos in low light. Smartphones, tablets and laptops may provide music to go, but their built-in speakers aren’t designed to provide music for a crowd. Enter portable speakers that connect to those devices via wireless Bluetooth technology. They’re a great gift for the mobile music lover on your list. And the Fugoo offers among the best and biggest sound of any Bluetooth speaker, along with a very long battery life and rugged design. Pumping out a hefty 95 dB of sound, the Fugoo can easily fill a large room with music. And that music sounds great, thanks to the Fugoo’s six separate speakers: two midrange domed woofers, two tweeters and two passive bass radiators, arranged at an 8-degree tilt around a rectangular body for a 360-degree sound. Despite the rise of gaming on mobile devices, serious gamers and many families still want a gaming console to play advanced games on a big screen in the living room – and, for most consoles, to also stream movies and more through the device. 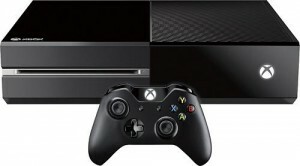 Unless you’re heavily invested in a different gaming platform, like the PlayStation or the Wii, we think the Xbox One is the best console this holiday season. The Fitbit Flex fitness tracker looks like a stylish bracelet, but it’s actually a powerful lifestyle tool to help you or a loved one track physical activity. The Flex costs less than other fitness trackers, making it an excellent value as well as one of the best Christmas gifts for exercising. Fitness trackers are fitness motivators. By tracking healthy habits and providing feedback on them, they encourage you to move more. Trackers differ in the amount of information they provide, and this Fitbit strikes a fine middle ground. It offers more features than many of the best fitness trackers, yet it avoids the potential overload of features available in a smartwatch. As the holiday season approaches, your kids are going to ask for the best holiday gifts and the newest gadgets on the market. As a parent, you’re going to want to make sure they’re getting not only fun gifts, but educational ones, as well. 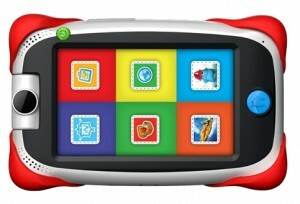 The nabi Jr. tablet is geared towards education and grows with your child. There are hundreds of different things for a kid to do on the nabi Jr. that are not only fun, but educational, so you won’t feel guilty when you let them play with it for hours. One of the most exciting moments of Christmas is when you open a box and find a brand new video game console waiting for you. The PlayStation 4 launches just in time for the holidays and gamers are foaming at the mouth for this console. Sony packs some of the best technology in this console, and with an improved controller and interface, gamers will enjoy playing it for years to come. 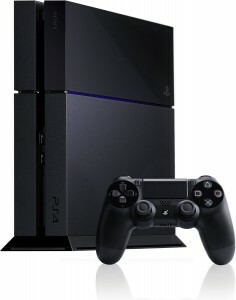 The PS4 is the best Christmas gift for gamers this year. If you can keep this console a surprise, your gamer will shriek for joy and run laps around the house on Christmas morning. When the smoke clears and you get the PS4 plugged in, you’ll have access to several multimedia apps, games and social features. Thanks to its many features, the PlayStation 4 can become your family’s multimedia hub. Keeping track of all the mobile gadgets that accumulate in our lives can be a challenge. Having one place to contain, transport and even organize them is a beautiful thing. 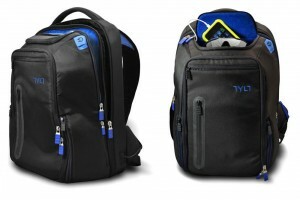 The Tylt Energi+ Backpack does just that, but it doesn’t stop there. It also charges those gadgets for you as you walk to class or drive to work. It’s hard to imagine a more appropriate Christmas gift for your college-bound child or a spouse who loves to camp but hates leaving the digital devices behind. If you’ve ever been on the go with a device that’s about to die, you can appreciate the convenience of a bag that stores some of your gear while charging three digital devices simultaneously. The world of RC helicopters has grown rapidly in recent years, and the HELO TC Assault helicopter is hoping to usher in a new era. 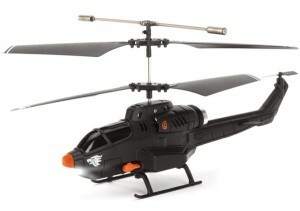 In the box, you’ll find an already-assembled HELO TC Assault, a USB charger cable, some spare parts and a flight deck. The flight deck connects to any iOS or Android mobile device (although it is best suited for an iPod or iPhone) via the headphone jack and transmits the input from your device to the chopper. It also requires four AAA batteries. We found takeoffs work best when you’re no more than five to seven feet away from the chopper, but it is not necessary to maintain that distance after the initial launch. We love that you can control this chopper right from your smartphone, iPod or tablet, and the gadget geek on your list will enjoy this new take on a traditional RC toy. Now that you are armed with this new found knowledge, you’ll be the hero of Christmas morning and well on your way to a wonderful holiday season, looking forward to spending time with family and friends, knowing you have found thoughtful gadget gifts they’ll love.